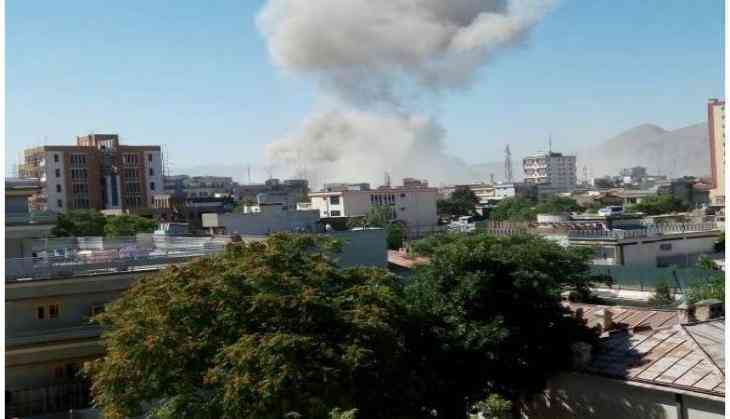 In the wake of the Kabul blast in which around 80 people have been killed and more than 350 other injured, South Asia expert Dr. Waiel Awwad on 31 may laid stress on the consolidated stemming of the Taliban in the country. Dr. Awwad told ANI, "Taliban has intensified largely in Afghanistan. It has already stated that this summer will be a bloody one in Afghanistan, targeting, the foreign troops based here, the government institutions and the army. Therefore, we are apprehensive of more such attacks both from the Taliban and the Islamic State (IS). Their influence is ever enhancing and they are already present in nine provinces. There are a lot of sleeping cells inside Kabul." The attack took place closer to the German Embassy and half a kilometer away from the Indian embassy. The target was to attack the convoys of the foreign troops, however, unfortunately the maximum causalities were civilians. "The fact that the attack took place in the highly secured and protected area of the diplomatic enclave only talks about how focused the Taliban is on targeting the foreign troops and their convoys. A lesson that we can learn from here is that the foreign troops should avoid the eye of the Taliban and try commuting away from the civilian areas," Awwad added. Emphasising that the Afghanistan Government is not very strong and it needs the support of the international communities, he also said that Taliban has taken advantage of Afghanistan's situation. "Afghanistan has been suffering from the past 16 years and it has been under occupation as well. The government is not very strong and it needs the support of the international communities and if the latter (international communities) genuinely want to help Afghanistan then they must strengthen and provide certain measures and directions for the country," the- South Asia- expert added.